A U.S. District Court jury has found that Samsung owes $539 million Apple after a 7 year legal battle. The case revolves around five of Apple's design patents reportedly infringed upon with Android phones developed by Samsung. In terms of legal precedent, the jury's reasoning isn't entirely clear, but the figure is high enough to assert the importance of design patents within the tech industry. This could somewhat concentrate power in the hands of larger more established businesses, like both Apple and Samsung. Samsung, somewhat unsurprisingly believe the verdict isn't supported, suggesting they may further drag out the case. 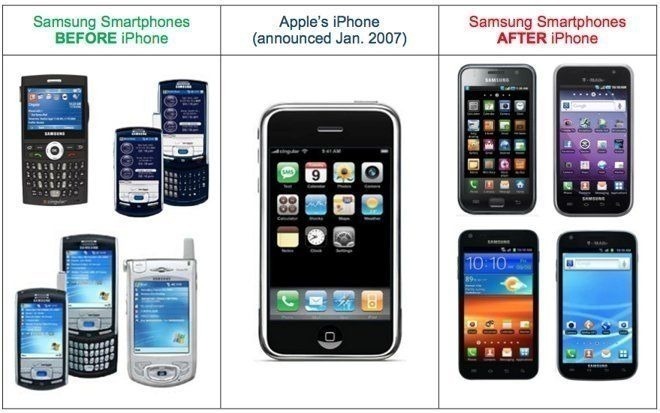 According to jurors from the current case, Apple were persuasive on one patent, whilst Samsung was on another. The main point of contention in this case, is not whether the patent was breached, but how much was made from those breaches. Three of the five patents were ornamental features, two were utility patents (regarding how the phone works). One issue was whether profits from sales of the entire phone or just it's components should be included. Some controversy exists here, apparently Apple initially told the US Patent and Trademark Office that the design was just the screen, offering broader protection against competitors using that screen, even if the rest of the phone is different. Apple then told the jury that the design is the entire phone, according to Sarah Burstein, a University of Oklahoma law professor. Additionally, there was disagreement about how much Samsung should deduct as expenses when deriving profits. Samsung believe that research, development, and sales costs should be included. This would decrease the figure to be paid. 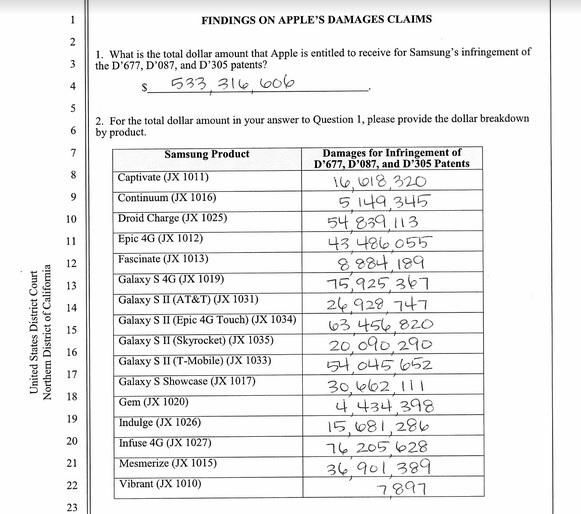 The figures posed by the two sides were $28 million and $1 billion (Samsung and Apple respectively), and the figure arrived at by the jury, $539 million, was just over halfway between those figures, slightly in Apple's favour. What remains to be seen is whether Samsung intend to drag this out further.